The Pilgrim Office has already revealed data influx of pilgrims for the recently ended September, a month that ends with 40,157 people who have picked up their compostela in Santiago. These data contrast with 36,870 in the same month last Xacobeo 2010, year in which inevitably be compared to this 2016, because everything indicates that the record figures of 272,412 pilgrims who will fight then reached. Throughout 2016, declared Year of Mercy by Pope Francisco, have passed month numbers of 2010 except in August, so everything indicates that the total numbers of the year will be between 280,000 and 290,000 pilgrims. Unless unexpected rise, is not expected to exceed 300,000 pilgrims this year, a figure however is expected to exceed before the next Holy Year of 2021. September is key to provide the total numbers of pilgrims each year will mark the Camino de Santiago. 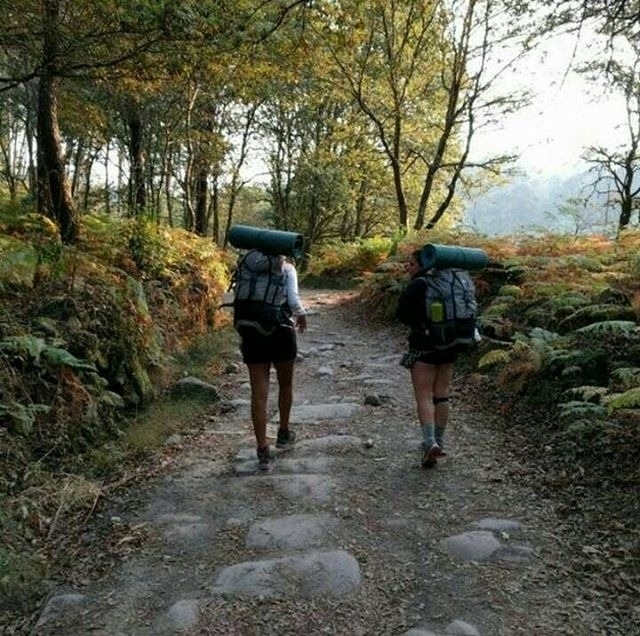 This is because the greater influx of people walking the pilgrimage route to Santiago is located between April and September (both included), favored by the softer and warmer temperatures. At the end of September, down dramatically the influx of pilgrims so the numbers achieved to this point are a good barometer to assess the full year. Llevan todoe l año con números de récord... muy mal se tienen que dar los próximos meses para no terinar por todo lo alto. Malo será... pero ahora "the winter is coming", supongo que influye. Por ejemplo se habla de "masificación" del camino francés y de que se ha convertido en una romería. Por un lado creo que es lógico hacer esta crítica pero por otro lado es un síntoma que el camino goza de buena salud. El desafío será ver más allá de lo inmediato y fenomenal. Que las autoridades gubernamentales por donde pasa el camino sepan valorar y pesar todas las medidas necesarias para adecuar el camino a la realidad que le toca vivir. No me refería exactamente a lo que comentas con respecto a la "soledad" del peregrino y a la prioridad del Camino Francés como icono... pero de todos modos agrega al comentario. Saludos. La masificación es relativa porque por muchos peregrinos que haya en el francés, el peregrino "solitario" que busca el mayor contacto con la naturaleza y reflexionar siempre va a encontrar rutas en las que no se encuentre prácticamente a nadie.